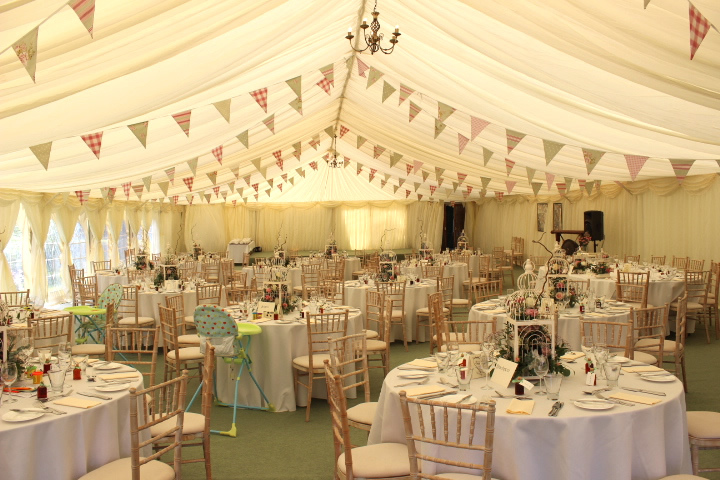 Acton Marquees is an established business that has been providing Marquees and Equipment hire for weddings, parties and corporate events for many years from the heart of Cheshire. 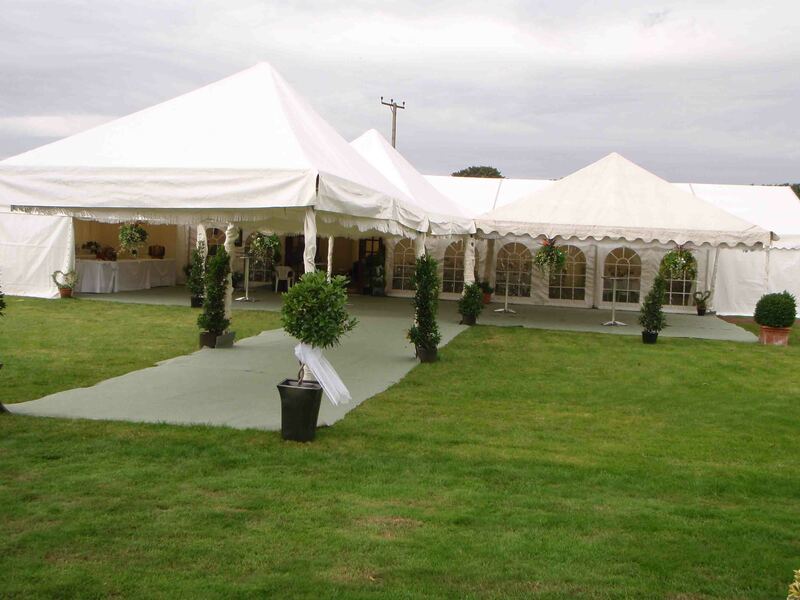 Our Marquees can be provided with or without linings. 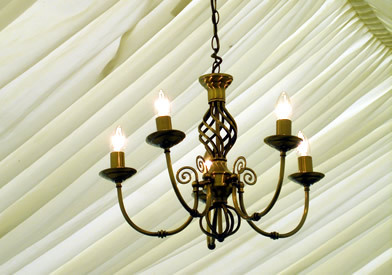 The linings help create a warm atmosphere and elegant interior for your event. Coloured swags can be added in a full range of colours to match your colour theme. 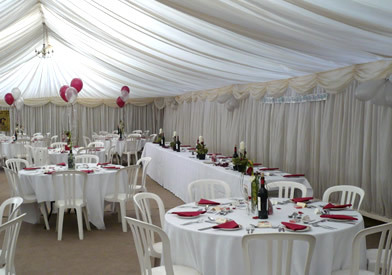 With the linings we are also able to line farm buildings, village halls and school sports halls. Once these have been installed, you are not able to tell where you are. We have great photos of these events in our album, please ask for more details. A stunning range of centre lighting is available to suit your taste with dimmers provided. 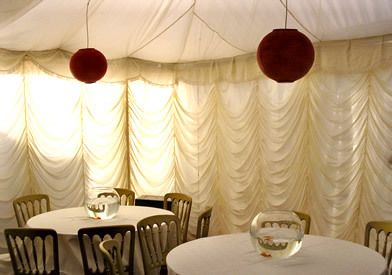 Alternatively you may prefer to add extra ambience with coloured uplighters around the edge of the Marquee, either with or without the centre lights, to create your desired effect. For the extra special occasion, black starlight linings can be provided. 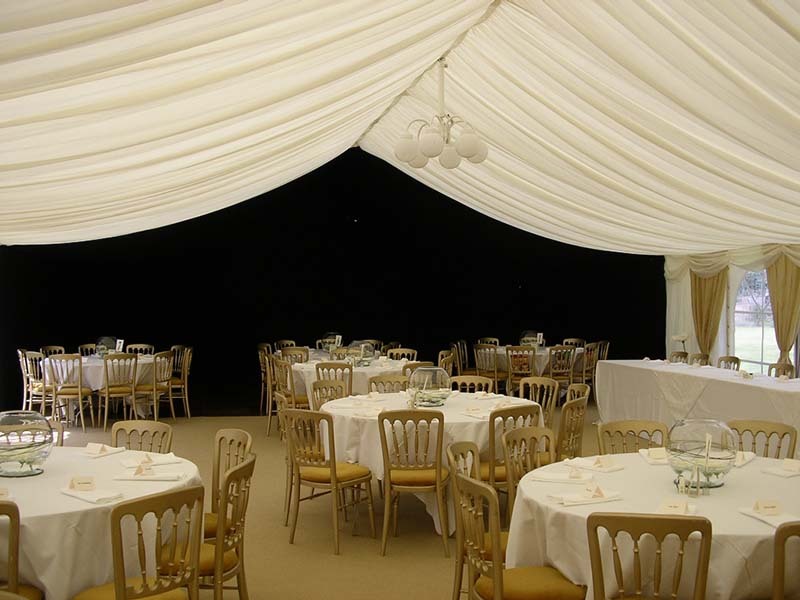 The black starlight lining adds extra spectacular impact to your marquee, either over the dance floor or throughout the entire marquee. The black starlight roof twinkles as though you are under the stars! 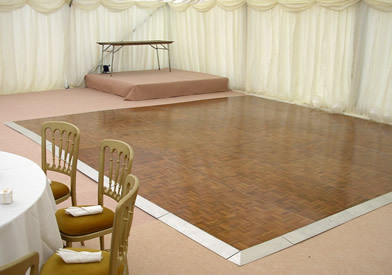 Interlocking wooden flooring - For the extra special occasion the wooden floor. 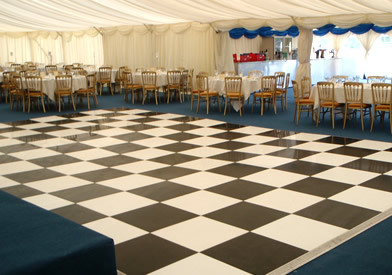 Grid mat plastic flooring – this is great on patios and gardens. Carpet – we supply new or used carpet with the colour of your choice. We have a range of heaters to cater for whatever the British weather can give us! 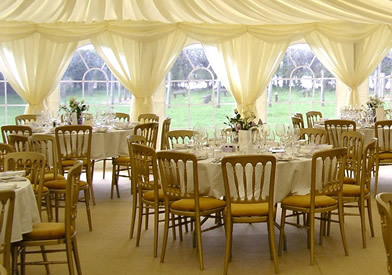 Acton Marquees provides marquee and furniture hire for wedding marquees, corporate events marquees and marquees for parties throughout Cheshire, Shropshire, Staffordshire, Lancashire, Merseyside, Manchester and the North West. Whatever the event, we’ve got it covered! 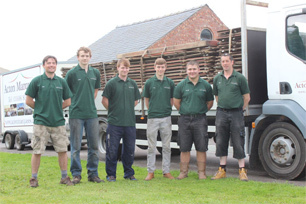 Our team offer an excellent level of service, and work hard to make your event special. I was originally directed towards Acton Marquees by a friend. The price was good. Phil was responsive to my requirements for the marquee. Installation & dismantling were fitted round my timescale & to my convenience. 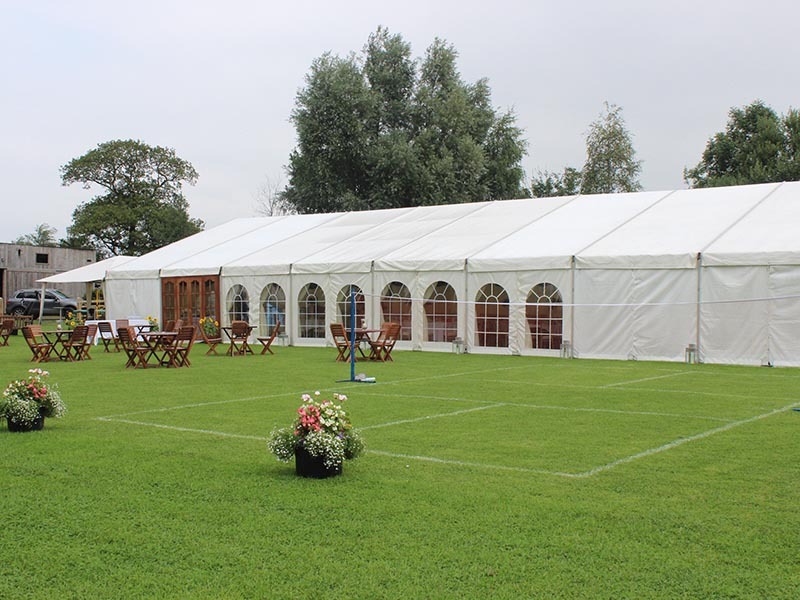 The marquee itself was attractive & of a high quality. If I need another marquee, I would be happy to use Acton Marquees again. 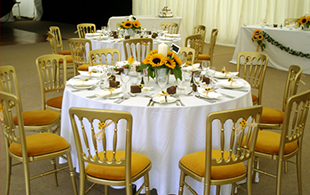 We offer a diverse range of furniture for any event, with a massive range of tables & chairs, so there should always be something suitable. 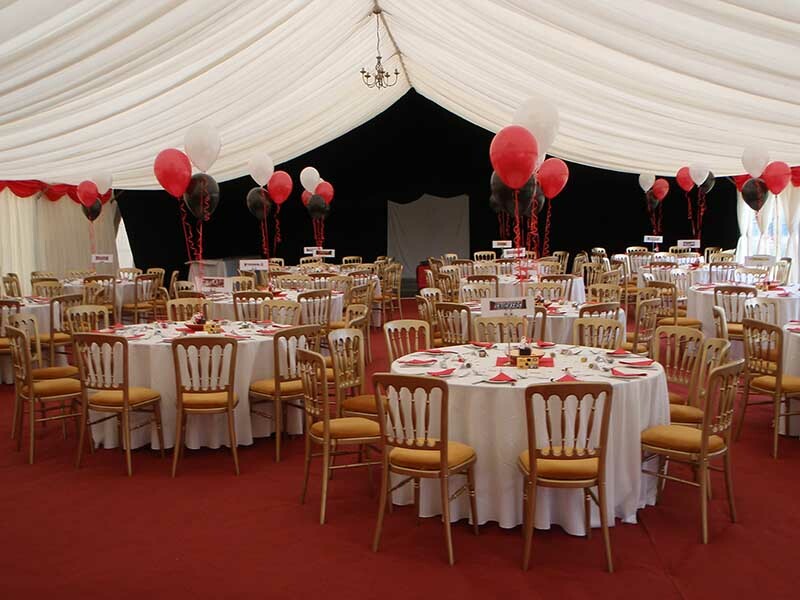 Copyright Acton Marquees 2013. All Rights Reserved.